A comparative study on fatty acid compositions, total phenolic contents, and antioxidant potentials of various extracts from different parts of Euphorbia chamaesyce L.
In this study, fatty acid composition, total phenolic contents, and antioxidant activities of the extracts obtained from the stem and seed parts of Euphorbia chamaesyce L. (Euphorbiaceae) were investigated. Linolenic and linoleic acids were determined as the main fatty acid components in the seed (32.42% and 15.04%, respectively) and stem (22.31% and 14.25%, respectively) hexane extracts by using GC/MS. EC/SEM (seed methanolic extract, IC50 = 5.35 ± 0.01 µg/mL), EC/SEA (seed acetone extract, IC50 = 8.61 ± 0.11 µg/mL), and EC/SEE (seed ethyl acetate extract; IC50 = 20.6 ± 1.12 µg/mL) exhibited higher radical scavenging effect than synthetic antioxidant BHT. Also, a positive correlation was found between the total phenolic content and DPPH radical scavenging activity. The results showed that the seeds of this plant had a high amount of polyunsaturated fatty acids and remarkable antioxidant activities.
. Vasas, A. and Hohmann, J. "Euphorbia diterpenes: isolation, structure, biological activity, and synthesis (2008–2012)", Chemical Reviews, 114: 8579-8612, (2014).
. Genç, I. and Kültür, Ş. "Euphorbia akmanii (Euphorbiaceae), a new species from Turkey", Phytotaxa, 265: 112-120, (2016).
. Schmelzer, G. H. and Gurib-Fakim, A. "Plant resources of Tropical Africa (11)", Medicinal plants, PROTA, Netherlands, pp. 475-477, (2008).
. Tanaka, R., Kasubuchi, K., Kita, S., Tokuda, H., Nishino, H. and Matsunaga, S. "Bioactive steroids from the whole herb of Euphorbia chamaesyce", Journal of Natural Products, 63: 99-103, (2000).
. Tanaka, R., Wada, S., Yamada, T. and Yamori, T. "Potent antitumor activity of 3,4-seco-8betaH-Ferna-4(23),9(11)-dien-3-oic acid (EC-2) and 3,4-seco-Oleana-4(23),18-dien-3-oic acid (EC-4), evaluated by an in vitro human cancer cell line panel", Planta Medica, 72: 1347-1349, (2006).
. Agarwal, R., Mustafa, J., Gupta, A. and Osman, S. "Oil rich Euphorbiaceae seeds with high contents of linoleic acid", Fett Wissenschaft Technologie, 97: 526-527, (1995).
. Eynard, A. R. "Potential of essential fatty acids as natural therapeutic products for human tumors", Nutrition, 19: 386-388, (2003).
. Kang, J. X. and Leaf, A. "Prevention of fatal cardiac arrhythmias by polyunsaturated fatty acids", The American Journal of Clinical Nutrition, 71: 202-207, (2000).
. Lopez-Huertas, E., Baro, J., Carrero, J., Fonolla, J., Jimenez, J., Boza, J. "n-3 Fatty acids: health effects and opportunities to increase intake", Agro Food Industry Hitech, 14: 18-21, (2003).
. Gao, M. and Xiao, H. "Activity-guided isolation of antioxidant compounds from Rhizophora apiculata", Molecules, 17: 10675-10682, (2012).
. Blois, M. S. "Antioxidant determinations by the use of a stable free radical", Nature, 181: 1199-1200, (1958).
. Decker, E. A. and Welch, B. "Role of ferritin as a lipid oxidation catalyst in muscle food", Journal of Agricultural and Food Chemistry, 38: 674-677, (1990).
. Oke-Altuntas, F., Aslim, B., Duman, H., Gulpinar, A. R. and Kartal, M. "The relative contributions of chlorogenic acid and rutin to antioxidant activities of two endemic Prangos (Umbelliferae) Species (P. heynia and P. denticulata)", Journal of Food Biochemistry, 39: 409-416, (2015). . Singleton, V. and Rossi, J. A. "Colorimetry of total phenolics with phosphomolybdic-phosphotungstic acid reagents", American Journal of Enology and Viticulture, 16: 144-158, (1965).
. Yegenoglu, H., Aslim, B. and Oke, F. "Comparison of antioxidant capacities of Ganoderma lucidum (Curtis) P. Karst and Funalia trogii (Berk.) Bondartsev & Singer by using different in vitro methods", Journal of Medicinal Food, 14: 512-516, (2011).
. Smallwood, I. M. "Handbook of organic solvent properties", Butterworth-Heinemann, Oxford. (1996).
. Dai, J. and Mumper, R. J. "Plant phenolics: Extraction, analysis and their antioxidant and anticancer properties", Molecules, 15: 7313-7352, (2010).
. Bruni, R., Muzzoli, M., Ballero, M., Loi, M. C., Fantin, G., Poli, F. and Sacchetti, G. "Tocopherols, fatty acids and sterols in seeds of four Sardinian wild Euphorbia species", Fitoterapia, 75: 50-61, (2004).
. Ertas, A., Yilmaz, M. A. and Firat, M. "Chemical profile by LC-MS/MS, GC/MS and antioxidant activities of the essential oils and crude extracts of two Euphorbia species", Natural Product Research, 29: 529-534, (2015).
. Bell, S. J., Bradley, D., Forse, R. A., and Bistrian, B. R. "The new dietary fats in health and disease", Journal of the American Dietetic Association, 97: 280-286, (1997).
. Innis, S. M. and Friesen, R. W. "Essential n-3 fatty acids in pregnant women and early visual acuity maturation in term infants", The American Journal of Clinical Nutrition, 87: 548-57, (2008).
. Barla, A., Öztürk, M., Kültür, Ş. and Öksüz, S. "Screening of antioxidant activity of three Euphorbia species from Turkey", Fitoterapia, 78: 423-425, (2007).
. Halliwell, B. and Gutteridge, J. "Oxygen toxicity, oxygen radicals, transition metals and disease", Biochemical Journal, 219: 1-14, (1984).
. Farhan, H., Rammal, H., Hijazi, A., Daher, A., Reda, M., Annan, H., Chokr, A., Bassal, A. and Badran, B. "Chemical composition and antioxidant activity of a Lebanese plant Euphorbia macroclada schyzoceras", Asian Pacific Journal of Tropical Biomedicine, 3: 542-548, (2013).
. Ashraf, A., Sarfraz, R. A., Rashid, M. A. & Shahid, M. "Antioxidant, antimicrobial, antitumor, and cytotoxic activities of an important medicinal plant (Euphorbia royleana) from Pakistan", Journal of Food and Drug Analysis, 23: 109-115, (2015). ISNAD OKE-ALTUNTAS, Feyza , ALTUN, Muhammed , DEMİRTAŞ, İbrahim , BEHÇET, Lütfi . "A comparative study on fatty acid compositions, total phenolic contents, and antioxidant potentials of various extracts from different parts of Euphorbia chamaesyce L.". 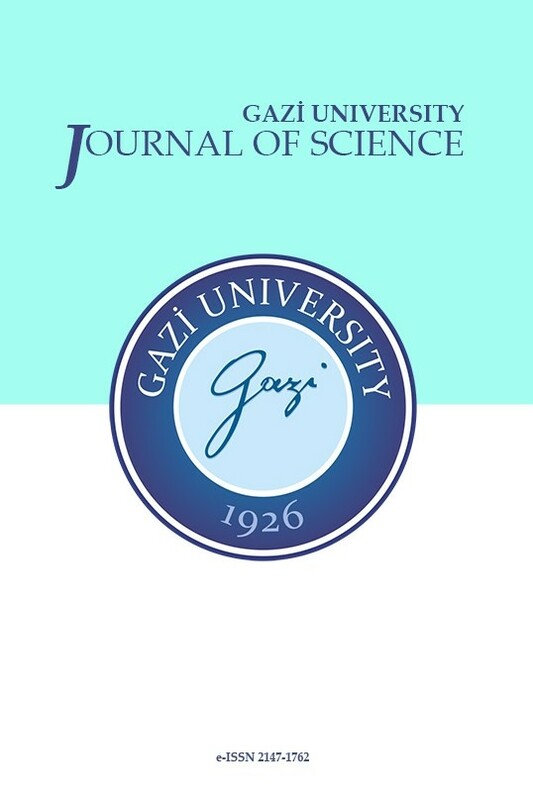 GAZI UNIVERSITY JOURNAL OF SCIENCE 31 / 3 (September 2018): 677-685.